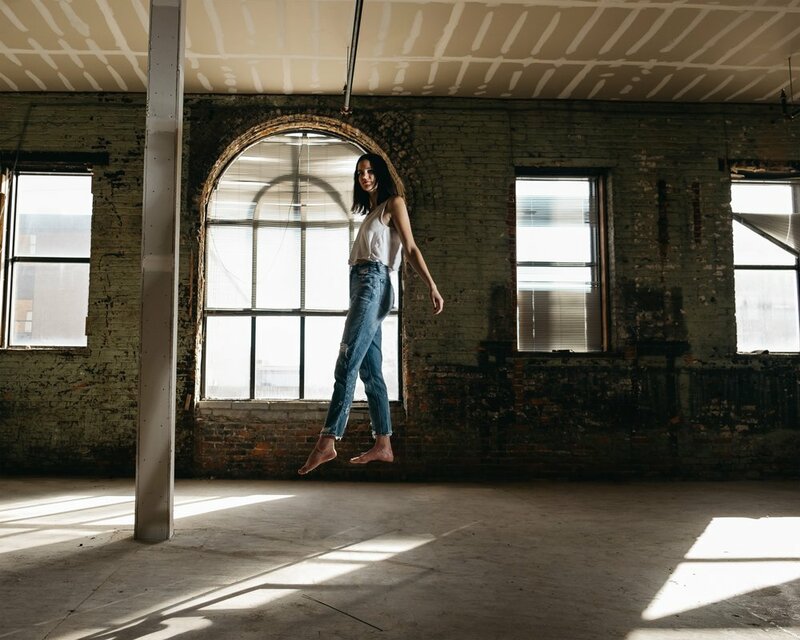 Defying gravity, flying through the air and transcending space, the women photographed are in motion and push life to its limits, literally and metaphorically. These transcendental movements that cannot be explained by laws of the physical universe are a metaphor for the stories of powerful, grounded, rebellious and free women. Using digital photography, studio lighting equipment and Adobe Photoshop I turn ephemeral movements into lasting moments. The images depict movement and tell the narrative of women who are always active, always evolving, and cannot be easily defined or stereotyped. 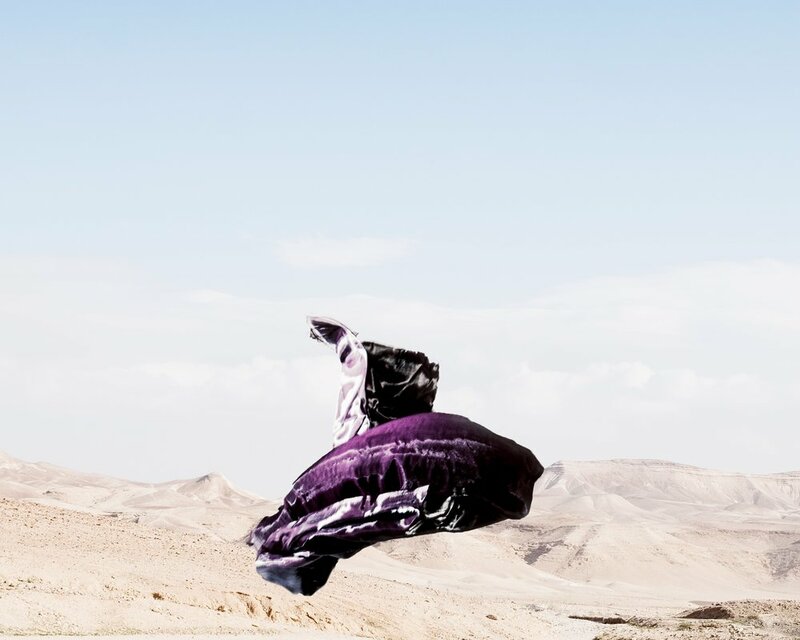 The creative project explores ideas related to transcendence, levitation and women’s strength through a photographic series showing women in surreal and natural landscapes. The series aim to instill within one a sublime sense of wonder and connection to the world we are all a part of. The photographic series emphasizes the inherently paradoxical nature of photography– photography’s ability to capture fictional narratives while preserving an appearance of objectivity and truth. Surreal photos and photo montages will make one feel uncertainty, thus allowing the viewer to question and compare photography to a work of fiction. This unknown allows one to remain open and see the world beyond their individual lenses. While interpreting the series, seeing becomes more than an optical perception. The viewer interprets the images through his/her lens of personal experiences, thus projecting their experiences in a deeply engaged way of being. The purpose of the project is to use photography to encourage new ways of thought in regards to womanhood. Events, media and narrow mindsets throughout history have painted the picture that women are submissive and viewed as objects, but we are in the midst of a generation of people that reject these constricting identifications. Women are rebelling and actively recasting the outdated perception of what it is to be a woman. By creating surreal photo montages and photographs I intend to revise the history of women in images as well as the history of surrealism, which is entrenched in arguably misogynistic imagery. As a photographer, it is my responsibility to share thought provoking ideas and stories, for photography is inherently an interpretative representation of reality. This creative project will bring forward new knowledge in the field by introducing images that viewers have never seen before. These surreal images encourage the viewer to make new connections and to reflect on how we understand the truth in our contemporary experience.